Earthworm Jim, Donkey Kong, and others will make an appearance at Retro Game Night, a new art exhibit founded by Plants Vs. Zombies lead artist, Rich Werner. PopCap's popular horticultural defense game, Plants Vs. Zombies, is beloved by many for a variety of reasons, not the least of which is the game's memorably zany, yet accessible visual style. Anyone who's spent more than thirty seconds zoning out to the carefree bobs of Sunflower knows there's no denying that the game's art team has gobs of talent, so it makes one wonder what they'd be able to produce outside the thematic confines of optimistic angiosperms and covetous, hat-obsessed undead. Well, we need wonder no more! PvZ's lead artist, Rich Werner, has assembled the creative creations of the game's art team, and others, for a new gallery show in Seattle. They're calling it Retro Game Night. The event will feature the work of nearly thirty different artists, each tasked with providing the show with a piece that pays "tribute to the awesomeness of old-school videogames." 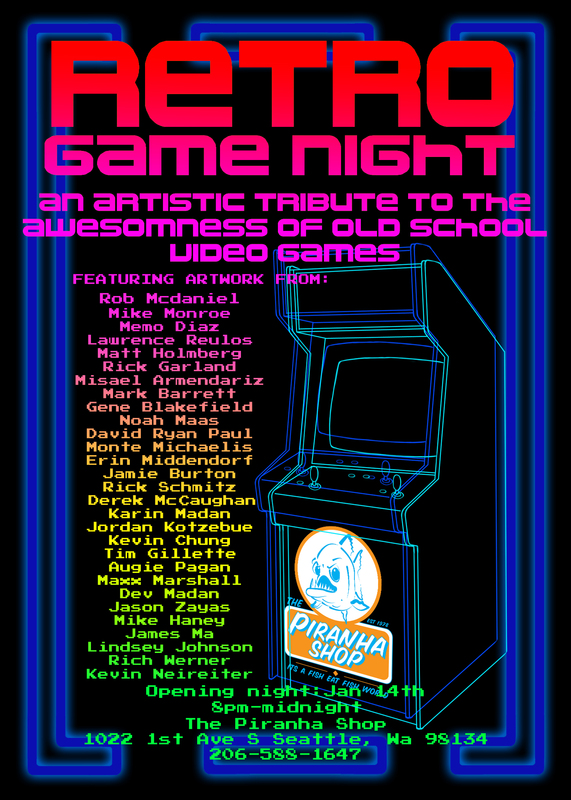 Retro Game Night opens on January 14th and runs from 8:00 P.M. until midnight at the Piranha Shop in Seattle, Washington. 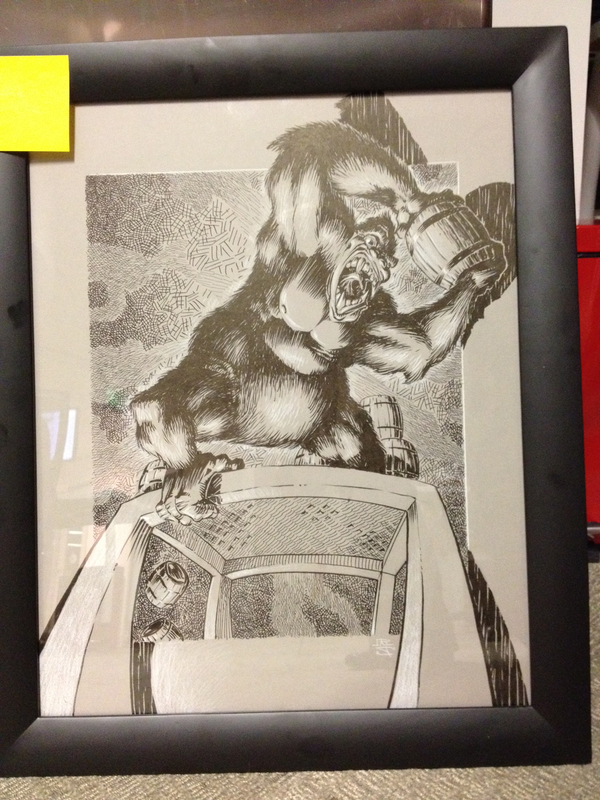 You can see some of the artwork that will be on display below, including Battle Toads by Misael Armendariz, Sinistar by Rob McDaniel, Donkey Kong by Rick Schmitz, and Earthworm Jim by Rich Werner himself. 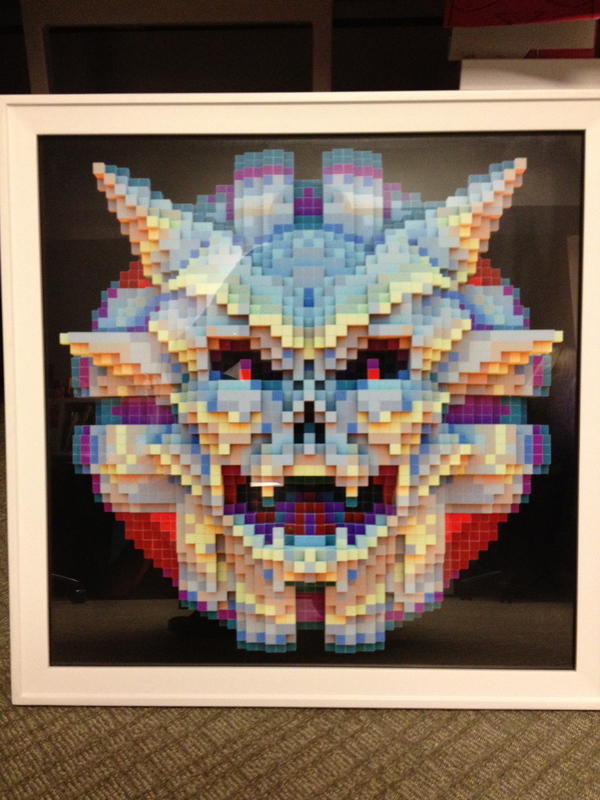 "So, I got this idea to have a gallery show that would feature tributes to all the cool old school games that inspired us artists to want to make art for games," says Werner of his upcoming show. "I invited artists that I knew that work in the industry and we all got together to create a huge show with some pretty amazing artwork!" So far, the exhibit is a limited time engagement, but Werner hopes that the idea can expand and flourish in the future. "I'm hoping that this can become an annual event," he said, "and I have people asking me how to be involved next time around already." Update: I'd like to offer my apologies to Torchwood for my previous comment. While it may be true that he can't read, Torchwood is an esteemed member of the garden community, respected for his integrity, steadfast friendship, and ability to greatly maximize pea damage.